What is Landlord Insurance? How much does Landlords insurance cost? 1 What is Landlord Insurance ? 2 Do I need Landlord Insurance ? 4 What does Landlords Insurance Cover ? 6 How much is Landlord Insurance ? What is Landlord Insurance ? If you are renting out a property to tenants, whether it is a single residential property or large commercial premises, then it’s always important to make sure that you are fully protected. Because being a landlord can be an expensive business, and if you have not got the right cover then you’ll have to foot the bill if things go wrong. So, If you are a new owner of a rental property, then you should purchase a landlord insurance policy to protect those investments. Landlords Insurance is a special type of home insurance policy which covers the landlords (homeowner) from financial losses that they might incur with rental properties. This policy will cover standard fire and associated perils and also theft & malicious damage. It also protects the landowners during circumstances where they are prevented from using their property to earn an income. Landlord insurance generally offers two methods namely actual cash value and replacement value through which property losses can be settled. For actual cash value settlement, house owners generally pay a lower premium because they will receive compensation only after discount is subtracted from the current value of the property. With replacement value settlement, compensation will cover the necessary costs of replacing the damaged property without considering any deprecation. However, you have to replace the property in order to qualify for this settlement. If it is not replaced, settlement, by default, will likely be actual cash value. Here, you can also check the Cost of landlord insurance, best landlords insurance company in India, What does landlord insurance cover you for, and other details in the below sections of this article. Do I need Landlord Insurance ? Being a landlord is not about sitting back and letting the rent roll in; you have got lots of responsibilities to keep on top of. It does not just keep your tenants happy but also must ensure your investment. So, that’s why Landlords Insurance is a good idea. Now you will be questioning yourselves that Do I really need Land lord Insurance? or Is Landlord Insurance mandatory? Landlord’s insurance is not compulsory, but some lenders will make it a requirement of taking out a buy-to-let contract. A perfect landlords insurance policy can include a number of useful features to the policyholder, such as buildings insurance, accidental damage cover, financial protection against loss of rent, etc. So, you have to choose the best landlord insurance policy as per your requirements. Because these not only cover you from disasters but also secure a rental deposit when your tenant signs a lease agreement. When do you need Landlords Insurance? A landlord insurance policy will allow you to rent your property with confidence. If you really value your buy-to-let properties then make sure you have taken the right land lord insurance to protect and cover your investment. One should need Landlords insurance in some critical conditions such as damage occurred due to natural disasters or accidents or because of tenants. For example, a fire accident has occurred to your apartment resulting in a substantial damage. If you have taken a land lord insurance policy, then it will pay for the repairs and rebuilding costs. However, the property damage coverage does have set limits and the insured must be informed of the coverage limits. Also, you need to pay the deductible amount to your insurance provider, before you can make a claim and get reimbursement. Otherwise, if your property has faced a damage due to some disaster like a lightning strike, then it may take some time to repair your property. Since repairs and replacement of your property are covered under this type of insurance, the insurer will compensate for the rent that you have lost because of repairs. Theft, Vandalism or Malicious Damage. The impact caused by vehicles, falling trees, animals, aircraft, aerials, and masts. Lightning or Storm (gates and fences are excluded) or earthquake, etc. The contents insurance is also another important coverage, particularly if your property is rented fully or part-furnished. The content insurance will protect your Beds, Sofas, TVs, Curtains, Carpets, Household Utensils, Kitchen electrical equipment and others from theft or damage. Under this cover, there is also a possibility to get extra cover for accidental damage that can be from a smashed mirror to a coffee stain on an expensive rug. The liability insurance can be added as an additional cover to most policies and also it is often a requirement if the insured offer student or social housing. The Landlord’s liability insurance will cover you against tenants who may try and charge you for an accident that occurs on your property. The Rental Guarantee Insurance is designed to protect you if your tenant fails to pay the rent. This type of Insurance covers the rental building, your personal property such as tools, furniture, appliances, stored on-site or provided by you for use by your tenants. So, this Landlords Rent Guarantee Insurance helps you in times of some calamity, or loss of rental income or legal expenses incurred to fight the tenant. But water damage of fixtures or other fittings, in case there is a pipe burst out are not included in this type. If your property becomes unsuitable for living due to any reason and you cannot rent it out for a certain period, then any rent the insured miss out on can be protected by the loss of rent insurance. This type of insurance is particularly important if you have taken out a large contract on the property, and are depending on the rent to meet the monthly repayments. Landlords Emergency cover will protect the cost of arranging emergency repairs such as a burst pipe, gas leak, break-in or pest infestation at your property. It also ensures fully qualified tradesmen will be on hand to sort out household emergencies, 24 hours a day, 365 days a year. 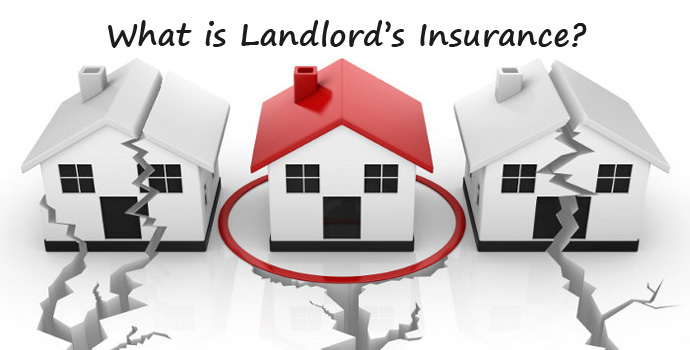 What does Landlords Insurance Cover ? Landlord’s insurance policy covers you against property damage and also from liability claims. Since there are many insurance companies available, each offers different coverages. But most of the insurers offer you coverage for the following. Coverage against Loss of Income: The Landlord insurance will help you compensate the loss of income in case your rental property becomes unoccupiable due to an insured loss like storm or fire. The rental reimbursement will prevent you from losing the rental income. Damage to your property: Under this coverage, the insurer covers the damage to the structure of buildings and personal property in case of theft, fire, storm, and tenant damage. If the total loss has occurred to the building, then the landlord insurance policy will cover the replacement costs for the whole property. Liability Insurance: Liability coverage helps you to cover the expenses, claims, or a legal action associated with a third party injury that happens on your property. The Liability insurance will cover you if in case you are found responsible for other member’s damage. That means if you are a landlord and neglects to fix a rusty pipe that destroys your tenant’s property, then the tenant can file a liability claim against you. So, the landlord insrance will cover you under these cases against the expenses that you will suffer. The Insured can also opt for additional coverage such as natural disaster insurance, rent guarantee insurance, employer liability insurance, and landlord contents insurance which can be customized as per their requirements. After getting an idea about Landlord Insrance, the policyholder will be searching for What is the best landlord insurance company in India ? Because everyone wants to take the policy from the best land lord insurance company. Hence, to make your work easy, I have provided a list of insurance companies that provide insurance for landlords. If you are a landlord, then there is a plenty that can go wrong when you give tenants the run of your house. So it is always important to have the right protection in place. The subsidiaries of General Insurance Corporation of India such as National Insurance Company, Oriental Insurance, New India Assurance, United India Insurance, etc. will provide Landlord Insurance by giving the guarantee to your house and valuables. Besides these government insurance companies, there are also many private insurers that offer the land lord insurance such as Royal Sundaram Alliance, MetLife, ICICI Lombard, Bajaj Allianz, Tata AIG, etc. Among these insurance companies in India, you have to choose the one as per your requirements. In most of the cases, the same insurer will offer several types of cover, or bundle them together into the same policy. But you should not simply go for the cheapest deals you can find. Since renting out your property to strangers can be a risky business, you should opt the best landlord insurance company from the given list. How much is Landlord Insurance ? Usually, before buying any insurance policy, we want to know how much the policy costs. Average landlord insurance premiums vary across the states and territories, as does the percentage of rental income they account for. If you are thinking about renting out a home or buying a rental property, then you are probably curious about, “How much does landlord insurance cost ?” It should come as a very nice surprise to the future owners that insurance rates can be extremely low. The Premium amount of the Land lord Insurance policy depends upon the number of properties you are insuring, property value, the size of your property, Geographical location and known risks in the area, how much liability you want to add for, and many other factors. Before purchasing a lamdlord insurance, one should make some considerations. Among those, the first thing you should do is carefully review what is included in the basic policy and then discover if that coverage meets your needs. If liability insurance is not included with the Land Lord Insurance, make sure to add that protection to cover the legal expenses in the case of a tenant lawsuit. Legal fees for advice from a real estate attorney. Maintenance of the rental property grounds. Property management costs, in case you are hiring a management company. Upkeep and repairs for appliances, carpeting, fixtures, and paint. Lamdlord insurance is not about finding the cheapest deal, it is absolutely about getting the right cover for your needs, and that means thinking about all the things that could happen. So, after buying a property don’t just sit back and relax; choose the best Land lord insurance policy and stay at peace.